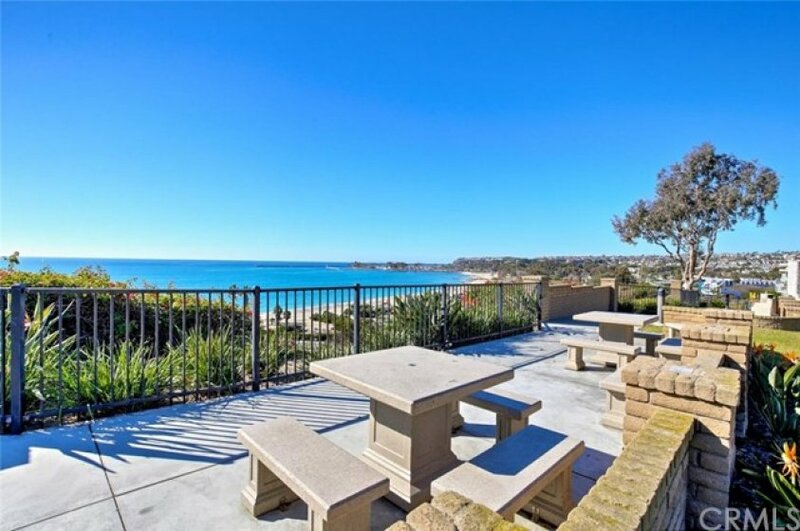 Amazing ocean and harbor views from this luxury townhouse located in the Dana Point. This end unit location is private and quiet with sit down panoramic views. An abundance of windows bring in extra light and are ideal for watching the waves break on the beach and enjoying the dramatic sunsets. Bright open floor plan with a spacious living room and fireplace plus separate dining room area. Dual sliding glass doors lead to large ocean view deck perfect for entertaining and dining. Remodeled kitchen has granite counter tops, upgraded cabinetry, high-end appliances, full wine refrigerator and island with counter seating. Custom corner office area is designed with built-in cabinets and shelving. Quality craftsmanship throughout featuring crown molding, travertine floors, recessed lighting, new paint and trim, custom blinds and security system. Upstairs master bedroom suite offers more dramatic coastline and harbor views and a private balcony, walk in closet and second closet with mirrored doors. 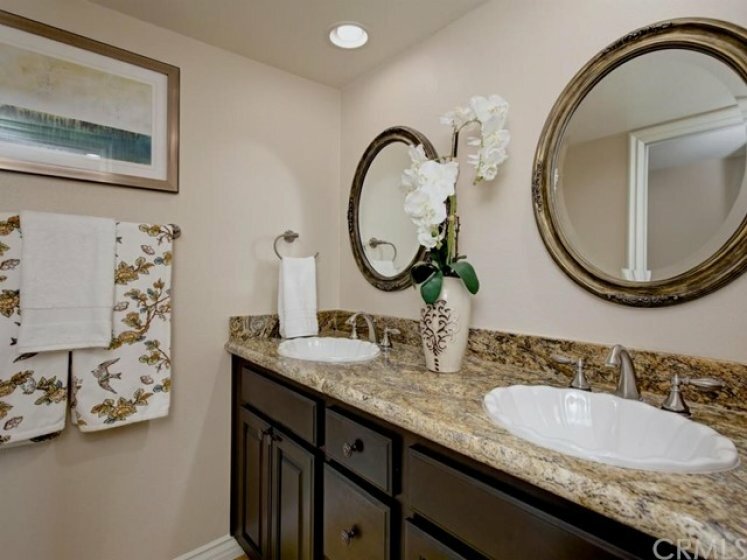 The remodeled master bath has granite counters, dual sinks and walk in shower. Large upstairs hall closet can be used for linens and additional storage. Two secondary upstairs bedrooms are spacious and each with walk-in closet. Remodeled guest bathroom also features dual sinks, granite counters and travertine shower. Two-car direct access garage. Close to pool and spa, tennis court, clubhouse and park. 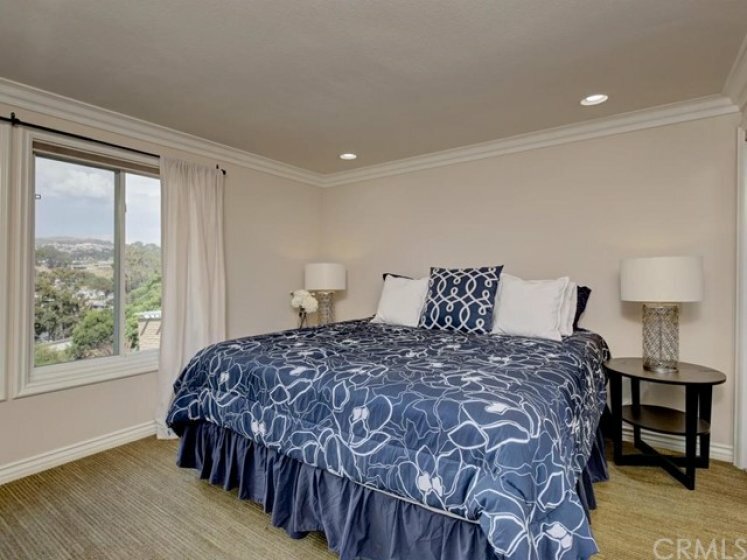 Convenient location near local beaches, Dana Point Harbor, restaurants and shopping.